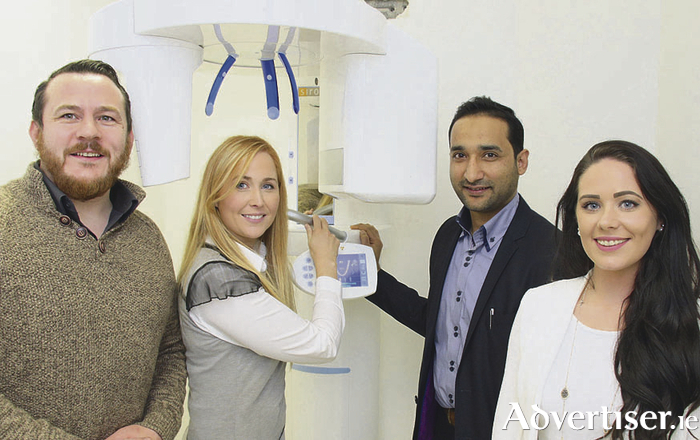 Patients who attended an implant awareness awareness evening at one of the city’s top dental clinics last week left enlightened about just how modern technology has altered our perception of dentistry. The event at R. Dent Clinic at the Galway Shopping Centre was well attended and afforded the innovative clinic the opportunity to showcase its impressive suite of dental treatment technology such as a revolutionary CT scanner which provides 3D images of a patient’s teeth. Dr Mamoon Rashid said that the event was very successful in that it increased people’s awareness of just what is possible in modern dentistry and he is pleased that RDent are able to provide all of these services. As well as general dentistry, Rdent specialises in cosmetic procedures with teeth whitening something which has become hugely popular in recent times. At Rdent, Dr Mamoon Rashid refuses to use mercury fillings as he would not be prepared to put this type of filling into his own mouth so he will not use this type of product on others. “We only use the clear composite fillings. We made a conscious decision seven years ago not to use silver fillings with mercury containing amalgam. The affect of mercury on the body is unknown and as I would not be happy to use it myself, therefore I will not use it on patients. The composite fillings are the same price.’’ says Dr Rashid. Using dentist-approved products for whitening is recommended as patients can be secure in the knowledge that these are the safest on the market. A take home opalescence kit is given to patients so teeth can be whitened at your own pace, in the comfort of your home. Six month braces is another area in which Dr Rashid excels. The attraction of this product is the length of time which is required to see a result. The majority of braces will come off after the bare six months to reveal a set of perfectly straight teeth. Severe cases could see the braces on for up to nine months, but this is still a remarkably short timeframe for what is an exceptional result. A full range of services such as implants, crowns and veneers is available at Rdent. Customers can avail of ample free parking in the vicinity of the surgery. R Dent, Unit 70, Galway Shopping Centre. www.rdent.ie 091 563792. The business can also be found on Facebook.